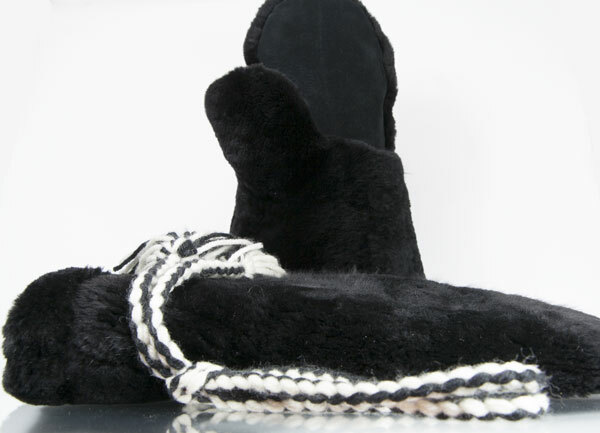 Premium one-of-a-kind sheared beaver fur mittens. 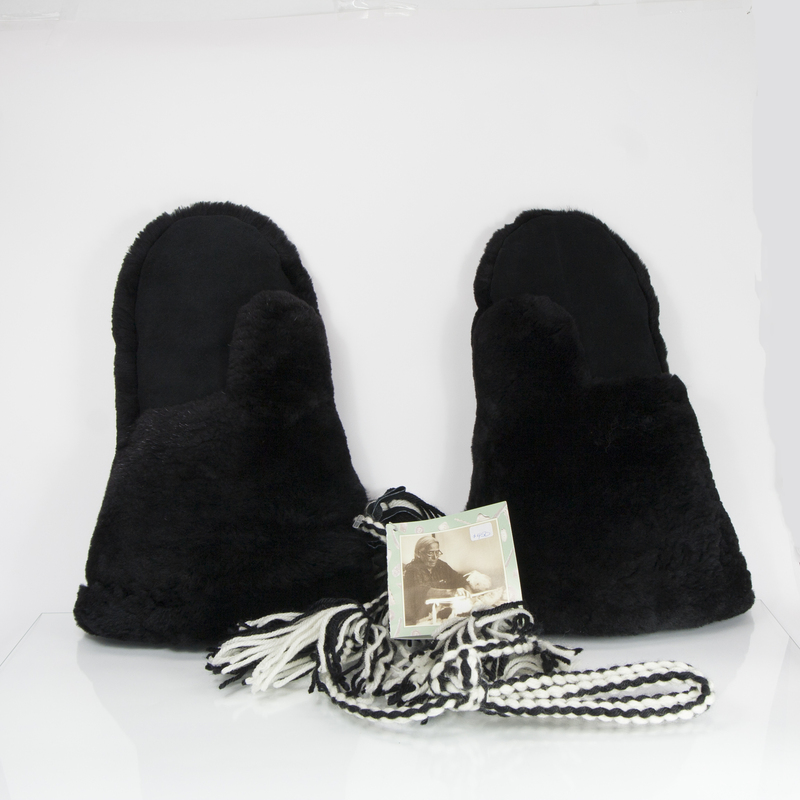 These mittens are made using the best Northern beaver fur pelts which are sheared to reveal its extremely warm and soft fur undercoat. These mittens have sheared beaver on the outside AND inside, allowing you to keep your fingers toasty warm all winter long. You will never lose these precious mittens as they feature a cord to be wrapped through your parka, ensuring they are never lost. Tag signed by the artist, Lucy Squirrel. Buy these special edition (only one pair available) mittens on-line today and support aboriginal handicraft.